Record-breaking global Comedy Superstar Jeff Dunham, is bringing his cast of characters on the road, as America’s favorite ventriloquist tours North America on his 60-city Passively Aggressive tour through spring 2018. 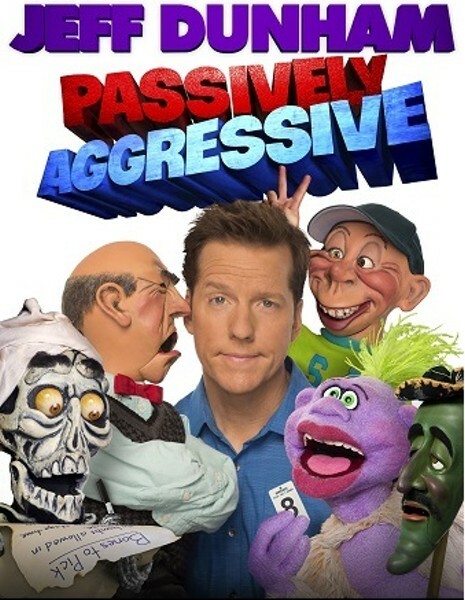 Tickets on sale now at jeffdunham.com. Dunham recently released his latest stand-up special, Jeff Dunham: Relative Disaster, on Netflix in September 2017. The special, filmed in Dublin Ireland, features Dunham along with his ill-behaved and slightly demented posse of characters for a gleeful skewering of family and politics.